FREE 20-Minute Phone Strategy Session. 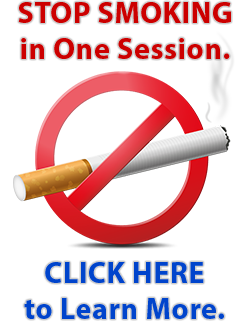 Get the skills necessary to immediately begin working with clients for issues such as losing weight, stopping smoking, eliminating stress or fears, and much more. 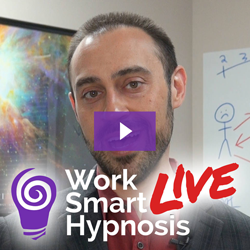 Jason Linett’s hypnosis training course will meet the needs of anyone with an interest in helping others while building your own part-time or full-time business. Call (703) 341-6655 today for your complementary “new-student” interview and learn more about this upcoming course. You will learn from Jason Linett, Board Certified Hypnotist and NGH Certified Hypnosis Instructor. The key to our success is providing you with real-world techniques. Our course goes far beyond just lectures and demonstrations, as you will be demonstrating hypnotic techniques as early as the first day. Generous time is set aside for student practice and skills integration. Various scripts and outlines to get you started right away! The National Guild of Hypnotists is a professional organization of dedicated individuals committed to advancing the field of hypnotism. The NGH is the oldest and largest hypnosis organization in the world.This unique organization continues to encourage an eclectic exchange of ideas, fellowship, mutual trust and cooperation among members – while promoting and protecting the art, science and philosophy of hypnotism. Of its 15,000+ members, the NGH only has designated only the top 2% with this title. Nominated by attendees as “Best of the Best” NGH Faculty members and selected as the one winner out of 300 convention presentations. A Certified Instructor and Practitioner of the Virtual Gastric Band Hypnosis Practitioner. The program’s pioneer, Sheila Granger, personally asked Jason to train her protocol. The author of more than two-dozen self-help home audio hypnosis programs. Jason is also a respected stage hypnotist, performing a unique program with safe, clean, and audience-appropriate content for corporations, schools, and other organizations nationwide. We guarantee that if, by the luncheon break of the first day, you are not satisfied for any reason, return your course materials and receive a full refund. We guarantee that any past student, at his or her option, may retake any or all classes without additional charge. This policy will ensure continual success of all graduates. Copyright © 2018 VirginiaHypnosis.com. All rights reserved. * DISCLAIMER: Results may vary from person to person. We guarantee the very best service using current information and appropriate hypnotic techniques for your situation. Hypnosis and hypnotherapy are not meant to diagnose or treat any disease, but rather it is intended to provide information, education, and motivation that will help to you live to your best potential and guide you toward being more effective in helping yourself.